With great fanfare some months ago, Michael Avenatti launched a Political Action Committee named "The Fight" in keeping with his theme that the next Democratic presidential candidate should be a "fighter" (and he doesn't seem to know any existing D politicians who qualify, apparently). The year-end report is now in. For the year, Avenatti took in $115,072.39 in donations, largely through ActBlue. The PAC spent $104,944.70 and has $10,127.69 left over. Donations or expenditures on behalf of any candidate whatsoever. So, "fighting" does not involve spending money to actually get anyone elected to any office anywhere. But, you can't fight if you aren't well rested and well fed. 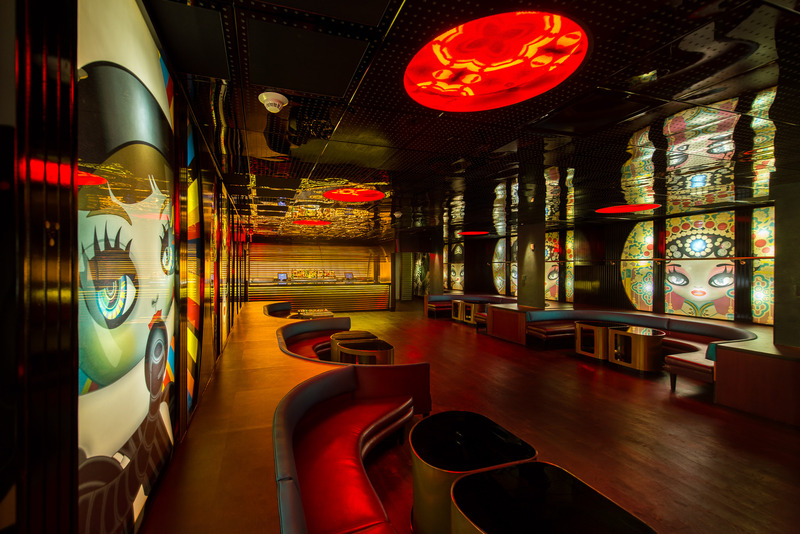 The SLS Lux Brickell is particularly nice, as it is a condominium hotel, with one-night "studio" units available starting at $619 per night. Jeff Ross calls Craig's "The Olive Garden for celebrities" - a great place to see and be seen, and of course to get that critical "fighting" nutrition. In any event, this is posted as a friendly reminder that Avenatti has done $104k of fighting and only has $10k of fight left in him. If you donated before, then it's time to re-up, quit wasting your money on Democratic campaigns and candidates, and make sure that Avenatti can check four bags on his Southwest Airlines flight to Puerto Rico (for two) in November. 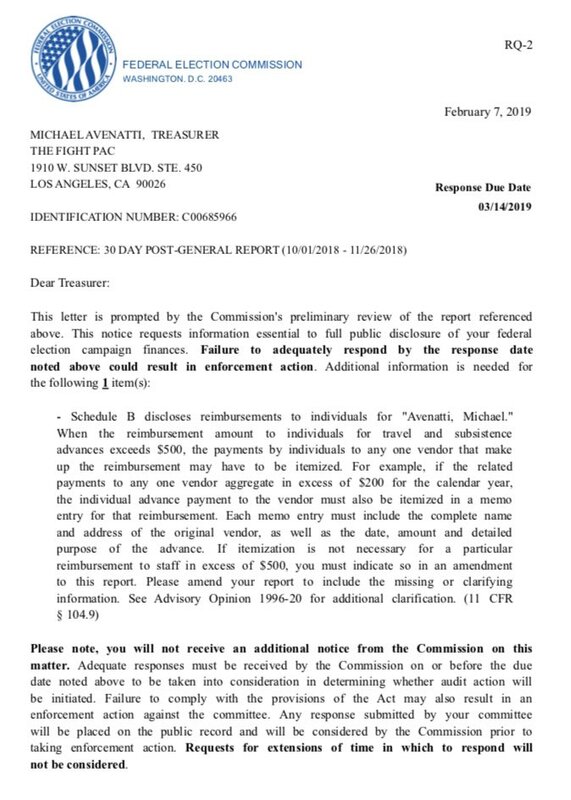 I forgot to add that a review of the financial statements shows that Avenatti straight-up lied when he solicited donations on the proposition that he would be giving half of the proceeds from that solicitation to Beto O'Rourke. Are you sure? 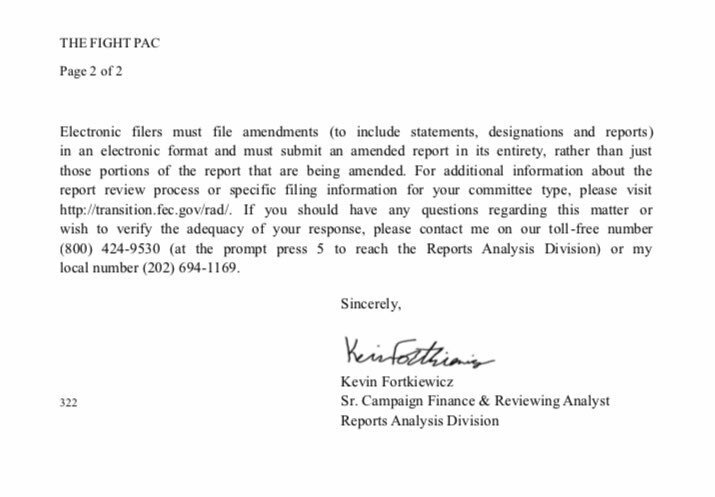 My impression was that the split was handled at the point of contribution with Act Blue, so I wouldn't expect it to show up on Avenatti's FEC forms. (Instead, Act Blue would have given half to Avenatti's PAC and half to Beto. Any donation ending in a round $5 - eg 25, 75, etc. - would, if split, result in a fifty cent decimal. That makes sense, but I'd be more comfortable with the conclusion if I had a better understanding of how the ActBlue donation system works. Yep. They might have even returned them, since that scam was shut down fairly quickly. Oh, I definitely saw those. Just wasn't surprised enough to comment. And didn't figure out mattered much anyway, since it looks like almost all the money funded his travel anyway. Guess I hurted his feelings. In a Tweet I can no longer see without logging out, Avenatti was gloating that Harder filed for an extension to submit his reply brief in Stormy's appeal of the SLAPP dismissal of her defamation suit against Trump. I suggested, in a reply, that publicly congratulating yourself when opponents file routine procedural motions is a bit Larry Klaymanesque. Mike, he might not share your opinion about Larry Klayman, or even know who Larry is. Aww, geez... You know he's sensitive. Anywho, welcome to the club. You seem to be collecting quite a select collection of twit snubs, way to go. I didn't realize he was up on an order to show cause for contempt tomorrow. CERTIFICATION AND ORDER TO SHOW CAUSE RE CONTEMPT by Magistrate Judge Karen E. Scott. 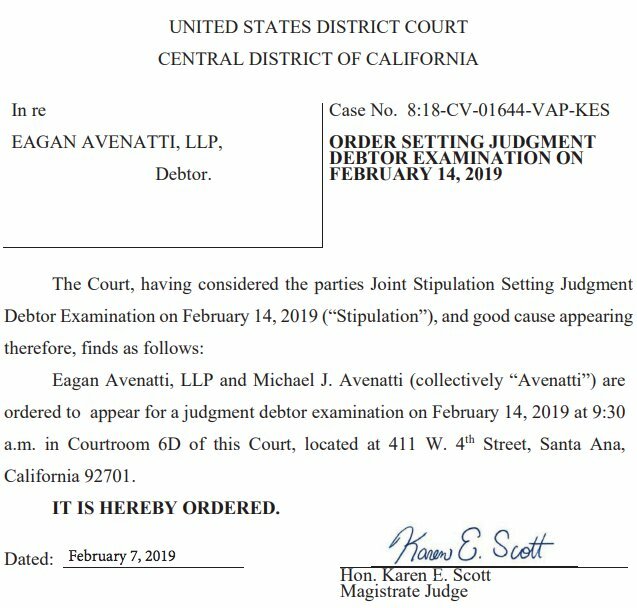 For those not wishing to read the order, it concerns Avenatti's blowing the bankruptcy court (and his creditor) off. It appears Avenatti's too bizzy baning Mike D. to respond to repeated requests for documents. Michael Avenatti hid millions of dollars from the court overseeing his law firm’s bankruptcy and used much of the money for personal compensation, a former partner alleges in new court records. The firm, Eagan Avenatti, was required by law to file monthly reports on its income and spending during the year when it was under U.S. Bankruptcy Court protection from its creditors, starting in March 2017. Avenatti signed the reports under penalty of perjury as the firm’s managing partner and majority owner. But the reports did not disclose that Avenatti opened six bank accounts that received millions of dollars in legal fees during the bankruptcy, his former partner claims in court documents filed Tuesday night. Through subpoenas to banks, Frank obtained records that detail millions of dollars in lawsuit settlement payments, legal fees and other funds that Avenatti collected during the bankruptcy but did not disclose to the trustee, the new court records show. In one case, Eagan Avenatti was representing ticket holders who sued the National Football League in connection with seating snafus at the 2011 Super Bowl in Arlington, Texas. After the case was closed, a Texas lawyer told Avenatti in a May 2017 email that he was ready to transfer $1.4 million to Eagan Avenatti, the court records show. Avenatti responded with wiring instructions that split the money, with $409,000 directed to a firm account that was disclosed to the bankruptcy trustee and $953,000 to an undisclosed account controlled by Avenatti. He sounds like presidential material more and more with every passing day! The day earlier, on January 4, 2018, Avenatti deposited into the same newly opened client trust account at CNB (5566) a check from the Judicial Arbiter Group to EAfor $11,718.75 – which according to memo line on the check was for “Barela v. Brock.” (Frank Decl., Ex. 44. THAT'S why he was hiding the money from Barela too! I thought - and still think - that Avenatti's conduct in using his client's cases to advance his political aspirations created a conflict of interest and was unethical. But that's small potatoes compared with the allegations in the Barela lawsuit. And those allegations turn out to be only a minor part of the scheme outlined in the motion in the bankruptcy case. If even 10% of the allegations are found to be true, Avenatti is well into disbarment territory. Beyond that, I've got no idea if he's allegedly entered the kind of area where he might face bankruptcy fraud or related charges. I think that's more jonbeck's wheelhouse; hopefully he'll be able to give us more of an idea of how to read these latest filings. So WHY didn't someone tell me hidden bank accounts for stolen client settlements was the way to make the big bucks in law? Edit: Oh, and he paid money to his girlfriend from the trust account. Here's what I've found so far. I'll probably post images backing this up on Twitter later; for now, here are page references and links to the docket filings. So either he was sleeping with a client, or paying his girlfriend from an account that is only supposed to contain client money. Bad either way. There are two payments into his client trust account that are labeled as being from his PAC. One for 19,914.15, and another a week or so later for 8,711.23. 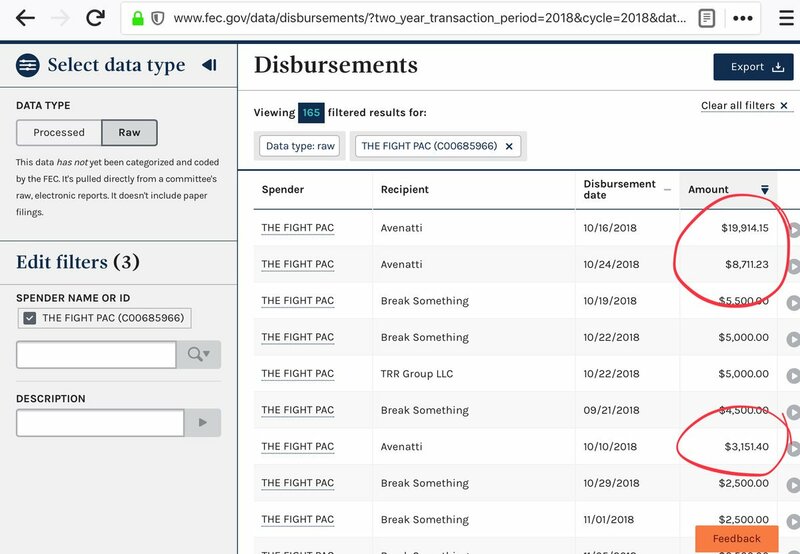 According to what he told the FEC, those two sums were reimbursement for "food/beverage/lodging/transportation" - so either he was depositing reimbursements for personal expenditures into his client trust account or he was lying to the FEC about where money was going. Again, bad either way. None of that, by the way, was mentioned in the motion, at least as far as I can tell. I thought you'd like that filing. He's something of a menace.